I listened to way more podcasts in 2018 than books. I spend in excess of 2 hours a day either in the car or training, so I get a lot of time to check out what in my opinion still remains an under-utilized tool. I need to re-up my book game though in 2019; I think this year I only got through 25-30. The ones I have listed here were those I read all the way through and would have no hesitation recommending. If anyone has any recommendations other than what is on my on-deck list, or any other recommendations for good podcasts, I’m all ears! Improvement is not infinitely linear in nature. After the exponential improvement in the initial period of learning a new skill, the rate of improvement slows down significantly. The capitalization of this initial exponential rise forms the basis of the Tim Ferriss-popularized 80/20 principle, based on Pareto's Law stating that 80% of our desired outcomes are the result of 20% of our efforts. This is awesome if we are interested in surface knowledge - a superficial understanding giving us enough background to hold a semi-coherent conversation on a particular topic, or to be able to put one leg in front of the other without falling. It can even speak to coaches philosophically - as it is a good principle to keep in mind when we are organizing our programs: basically - "figure out what gives you the biggest bang for your buck, and spend the most money on that". But at the end of the curve - when continued improvement is increasingly difficult - it is perhaps prudent to switch strategies somewhat. If you coach at the high school level, the best way to improve the speed of your athletes is almost certainly by having them run fast. Whether it be through fly runs or mid-range speed work (50-90m), the principles of specificity and overload dictate that only by sprinting maximally can we expect continued improvement of this ability. Density patterns: in general, the slower the athlete, the more often we can include speed work in their program. A high school freshman, for example, will rarely have the ability to overload any neural capacity to the extent where they require significant rest from a speed session. These athletes can essentially 'train speed' every day, and recover just fine (as we see with most high school basketball, volleyball, or football programs). The faster an athlete gets, the better able he-she is at overloading these neural abilities, and the more we need to begin stretching out these speed sessions. Underlying coordinative abilities: younger athletes will become more coordinated by simply executing the sporting skill at speed. They should be encouraged to spend time developing as many general coordinative abilities as possible, by practicing in multiple sports. 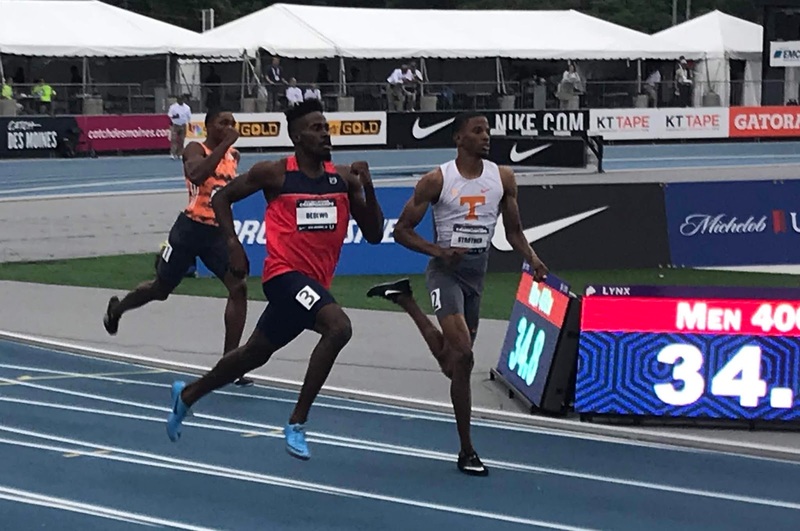 As the athlete gets closer to their genetic ceiling, coaches need to be a little more creative with how they continue the development of these ever-increasingly complex abilities. While the athlete with the biggest engine (speed-power abilities) will usually win out at the younger ages, at the elite level, it is the athlete with the most efficient engine (coordinative abilities). Coaches at every level need to understand this, and prepare athletes accordingly. Where the performance of developmental sprinters can be fairly accurately predicted through the evaluation of their relative strength-power abilities, it is very different with a more elite population. Mechanical, technical, tactical, medical, lifestyle, emotional, and psychological factors all play an increasingly important role through an athlete's development - through to an 'end-point', where power-strength abilities no longer seem to have a strong correlation to success. "The inability of many child prodigies in music to succeed as adult musicians is often attributed to difficulties in making this transition - possibly resulting from inappropriate training and instruction during the early and middle phases of music training." Similarly, for our best junior athletes, this is a difficult process to navigate - and something that hasn't really been written about often. 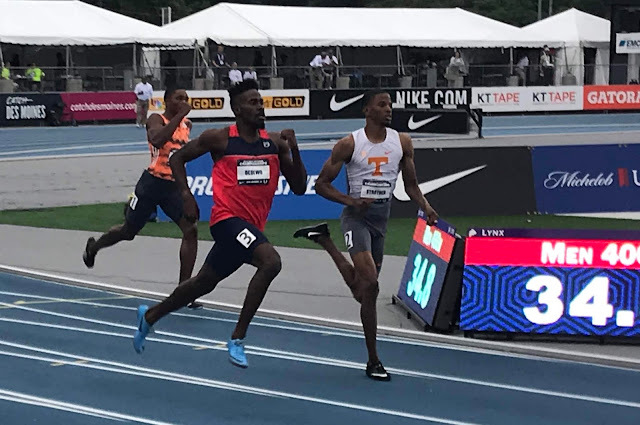 When the limiting factor at the elite level is seemingly different than that at a developmental level, how should coaches organize athlete progression through this time? Do traditional models - such as the various LTAD models (such as Istvan Balyi’s, which seems to form the basis of most LTADMs) - address this challenge adequately? I wrote a couple of weeks ago that I need to do some more work in better understanding ‘emotion’. Especially as it relates to sport. The Prime Sport Pyramid is comprised of five psychological factors that most directly impact athletic performance. These factors can either facilitate or interfere with performance. Your goal is to understand your relationship with each of these factors and develop strategies and a plan of action for alleviating your psychological weaknesses and building on the psychological strengths. Its order is based on the sequence in which the factors impact sports performance. The first two factors (motivation and confidence) prepare you for competition, while the next three (stress, focus, and emotions) directly impacts training and competitive performance. Emotions. Sports can evoke a wide range of emotions, from inspiration, pride, exhilaration, and satisfaction, to fear, frustration, anger, and despair. Emotions lie at the top of the Prime Sport Pyramid because I have found that they are the ultimate determinant of your ability to perform consistently under the most challenging conditions. “This is similar to what many negotiators do when they sit down at the table to hammer out a deal. They come armed with facts, and they attempt to use logic to sway the other party. They figure that by piling on the data and using reason to explain their side of the situation, they can construct a solution that is simply irrefutable—and get the other party to say yes. Fergus Connolly introduced me to the work of Vítor Frade, and his concepts of ‘tactical periodization’ and the ‘morphocycle’. Mentor to football coaches Jose Mourinho, Andre Villas-Boas, Leonardo Jardim, and England rugby coach Eddie Jones - Frade is clearly someone who has been ahead of his time, as detailed in this New York Times article. Definitely someone whose work I need to explore further. I can relate - as everything I read, I see through a coaching prism. Everything is coaching. I’m a big fan of Brad Stulberg’s writing. He wrote a good book with Steve Magness called Peak Performance. You should read it. Brad and Steve also write a Peak Performance blog. The following is from this past week’s post. In the very least, this is a topic that all athletes and coaches should give some serious thought to. Elite athletes are abnormal. Elite anything is abnormal. Otherwise, it's not elite. In psychiatry, crazy drive toward something improbable without self-awareness is typical of a personality disorder. Out in the world it's called being a fearless entrepreneur, a big-firm partner at the age of 33, or an elite athlete. It's worth reiterating: none of this is bad until it is. But that line between "none of this is bad" and "until it is" is a very, very fine one. If this sounds super serious that's because it is. But it's also super common. And I think it's worth talking about more openly and more often. The Shayne Parrish blog Farnam Street is one of the best on the web. I’ve read pretty much every word on the site. This past week, Parrish shared the Farnam Street Five Core Principles. Direction Over Speed: If you’re pointed in the wrong direction, it doesn’t matter how fast you’re traveling. Thoughtful Opinions Held Loosely: As our understanding increases, we must be willing to adapt and change if we are to learn and grow to position ourselves to lead the life we want to live. Principles Outlive Tactics: By understanding the principles that shape your reality, your “why” will more accurately guide your thoughts and actions. Own Your Actions: one of the most powerful ways to make giant leaps forward in our lives is to not only accept that we’ll screw up, but to actively seek out correction when we do. In Olympic Stadium on a cool Canadian night, with salsa music in the upper deck, Duran's people -- his true kin or those here who have adopted him -- cheered with raw conviction. After a lifetime of hard work but almost effortless success inside the ropes, Leonard finally came face to face with the core of boxing: suffering. He passed the test of personal courage but, because he was so intent on that examination of character, he neglected the tactics of his art and lost a crown. Experts will argue interminably over why Leonard fought what appeared to be a brave but hopelessly stupid fight. Why didn't he jab? Why didn't he dance? Why didn't he circle? Why didn't he slide when Duran tried to cut the ring? Why didn't he clinch or push off more to avoid the in-fighting? Why did he stand toe to toe countless times and exchange hooks to the head and uppercut digs to the gut? Only Leonard had the absolute and unarguable answer. "I had no other alternative," he said. Bullies can dish it out, but they just can't take it. This is an ancient boxing rule of thumb: a seeming psychological paradox that really is a straightforward truth. Roberto Duran with flashing combinations, glorious boxing skills and audacious courage. Leonard, who depended on a complete change of tactics to regain his crown -- and prove himself to be a fighter for the ages in the process -- was ecstatic, but gracious in his greatest moment. "I beat Duran more mentally than physically," said Leonard, accurately. "The things I did, especially in the seventh round, demoralized him." That is the epitaph for Duran tonight. This evening, Sugar Ray Leonard had the feet of a Bourbon Street tap-dancer, the blended combinations of a fine Dixieland jazz band and the punch of Ramos gin fizz. Going into their first fight in Montreal, Sugar Ray Leonard was considered the better boxer, and a slight favorite (he was listed as the 9-11 favorite just prior to the fight) to beat Roberto Duran. Leonard was expected to use his superior boxing skills and outclass the ‘brawler’ Duran. But in the lead-up to the fight, Duran reportedly goaded Leonard - insulting him, and his family. Leonard’s ‘emotional’ reaction led to him ignoring the advice of his trainer Angelo Dundee - instead brawling with Duran. Duran had clearly gotten under his skin, and eventually outpointed him in a close decision. It has often been argued that Leonard learned his lesson - and rather than brawling with Duran in the rematch in New Orleans 5 months later, he instead set the tone from the outset - boxing, moving, jabbing - frustrating Duran, and eventually forcing him to quit in the middle of the 8th round. This would go down in history as one of the most epic of boxing matches - the ‘No Mas’ fight (although it is doubtful that Duran ever actually said this - but he DID quit). It is easy to argue that Leonard was ‘too emotional’ in Montreal - and it was his refusal to be drawn into Duran’s taunts that won him the famous rematch. In New Orleans, Leonard ‘controlled his emotions’, and took it to Duran. Right? Emotion was the topic of an interesting discussion this week at an ALTIS Apprentice Coach Program Pool-side Chat. While I don’t disagree with the above comment from Fergus, I don’t think ‘controlling emotion’ is as simple as it sounds. As discussed last week in regards to ‘coordination’, I feel the word emotion in sport has lost its meaning somewhat - or has been co-opted into meaning something else entirely, existing now on the ‘negative’ side of a false dichotomy fallacy between rational and emotional. What do we even mean by “too emotional”? We tend to use ‘emotional’ as if it has a single meaning, but it’s not a single thing; it’s a state of mind, that can range from fear, to anger, to disgust, to happiness, to surprise, to excitement. Does what we mean by ‘emotional’ apply to all of these ‘emotions’? These are all very different things - but we tend to lump them all together. Generally, and in sport - having ‘emotion’ has traditionally been described as a good thing, but is increasingly being seen as now a negative. In both coaches and athletes, we are now told how important it is to stay calm - to be relaxed - to be in control - to be rational. Again - what is really meant here? What is important is an athlete can perform under situations of heightened arousal that is often present at major competitions. The question being - does this heightened state make an athlete react - and perform - worse than in a state of lower arousal? Does an increase in pressure make us react in a way that is different? Generally - the answer is yes. Some athletes perform better. Some perform worse. Some athletes require this increase in pressure - this increased arousal - to perform optimally. What exactly is the emotion that they controlling here? And how is it controlled? "I've never felt about anybody the way I feel about Duran. It's no one thing, I just dislike everything about him: the way he walks, the look on his face, the way he disrespects people he doesn't even know, flipping the finger at nice people on the street, all because he knows what he is and can't respect himself. He wants everybody to kneel down to him. That's not right." Does it sound like Leonard’s ‘emotions’ were really that different in New Orleans than they were in Montreal 5 months prior? Like I said - I don’t think it is as easy as ‘controlling your emotions’. If you let feelings control your actions, you will never progress in life. You will wonder why you keep circling the same patterns, habits and unhealthy relationships. This is because you haven’t learned how to organize, or process, how you feel in relation to what you should do and how you need to think. Altruism: we are genuinely interested in sharing information with the population. T&F is small-time for a reason. A more-educated population is our only chance at bringing legitimacy to this sport. Working out Loud: sharing our thoughts - holding them to the light - and thus opening them up to increased critique helps us better define our own thoughts, and forces us to better understand what we share. More generally - the growth of the amateur (us), fueled by the democratization of distribution, has disrupted every form of digital content. Music is free. Papers are free. Most books can be found for free. A lot of art is free. Most University Courses can be taken for free. This is our reality - there is no going back from it. There is free content on the web for literally any subject under the sun. Education Programs, like what you put out, or what we put out, are simply little more than curated syntheses of information, packaged in a more digestible format, and communicated in a way that a maximum of interested people can understand. In 2016, at £193, Darmstadt had the highest priced season tickets in Germany – still considerably lower than the cheapest seat in the Premier League (Stoke City at £294) – while Bayern Munich fans were seen refusing to enter Arsenal’s Emirates Stadium during the opening five minutes of play, claiming to be disgusted by the extortionate prices for football tickets that takes advantage of loyal fans. Throughout his career, Messi has been criticized for walking. After an El Clasico match between Barcelona and Real Madrid in December 2017, there was widespread coverage of the fact that Messi walked 83 percent of the roughly 5 miles he covered that game. Despite this, he scored and assisted in Barca’s 3-0 trouncing. We’ve known this trait of Messi’s for quite some time: In 2014 World Cup coverage, Ken Early remarked that “only Messi has figured out how to win matches by moving less than everyone else.” Benjamin Morris wrote about the phenomenon for FiveThirtyEight after Argentina lost to Germany in the final. The most popular explanation has been that Messi walks to conserve his energy for critical moments, like a perfectly efficient machine. But even when he’s walking, new research suggests, he’s far from idle. By 2000, the Belgian national team had been stuck in a rut in international play for years. It had been two decades since its runner-up finish in the 1980 UEFA European Football Championship. The team’s best finish in the World Cup—fourth place—was in 1986. In its most recent showings, in the 1998 World Cup and the 2000 European Championship, the team failed to progress beyond the first rounds. After the 2000 debacle, the Royal Belgian Football Association convened a working group to devise a plan to return the country to football prominence. Among those involved were Michel Sablon, then the technical director, and Werner Helsen, a former footballer turned sports scientist at the Catholic University in Leuven, just outside Brussels. Helsen was the first academic to apply the 10,000-hour rule, made popular by Malcolm Gladwell, to sports. Performance, he found, was linked to the number of practice hours. At the time, teenage footballers in Belgium practiced four or five times per week. (Games were often played on the weekend, which amounted to some 12 hours per week.) It wasn’t enough, Helsen thought. “We need to double the amount of practise,” he said. They worked to establish “Top Sports Schools” across the country, where flexible curricula allowed students, beginning at age 13, to train for three hours every morning except Wednesdays. “The football training is integrated in the school plan, which means that these students can have a normal graduation,” Helsen said. Players would meet the threshold of 20 weekly hours—school and club commitments included—that Helsen believed was required for success. The schools would incubate a number of the current national stars, including De Bruyne and Napoli striker Dries Mertens, who attended Genk and Leuven, respectively. The Belgian squad has marketed itself as a group of friends coming together to play for a common cause. Hazard has been teasing his #REDTOGETHER campaign on social media as a means of gathering support. Lukaku has expressed his thanks to supporters as well, perhaps to drum up more enthusiasm. Whether the family campaign will pay off is anybody’s guess. The kinship is surely there. "If I have something to say to Romelu— Romelu, stop scoring goals now. Score goals for Belgium in the national team for the World Cup, please," Hazard told Sky Sports in March.